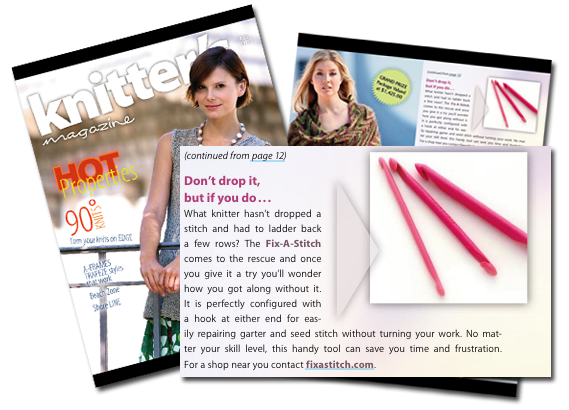 Knitters can now easily correct mistakes in knitted fabric with this clever tool. 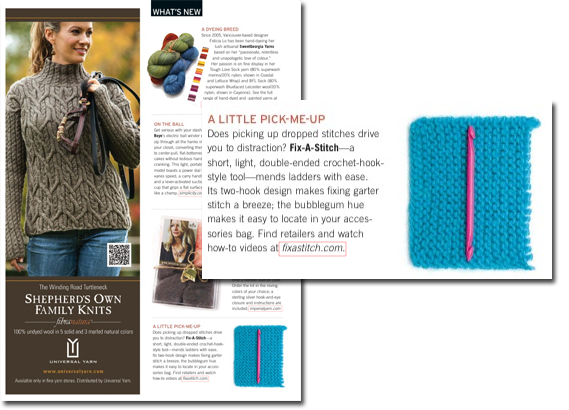 You will find three different sizes in the Fix-A-Stitch package for many different weights of yarn: small, medium, and large. 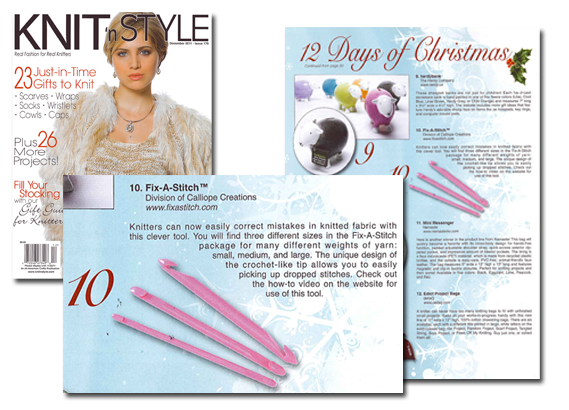 The unique design of the crochet-like tip allows you to easily pick up dropped stitches. Check out the how-to video on the website for use of this tool. 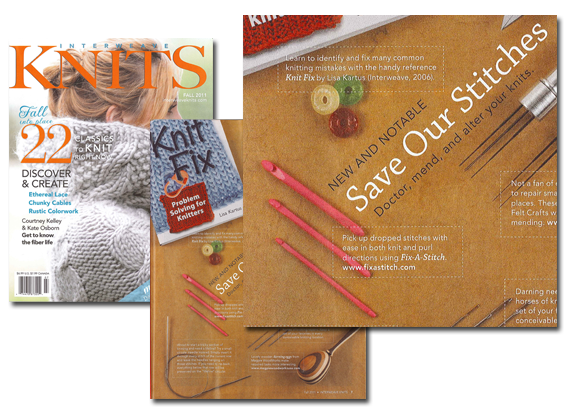 The Fix-A-Stitch was featured in “Save our Stitches,” which highlighted helpful tools for knitters to use in mending and altering products. What knitter hasn’t dropped a stitch and had to ladder back a few rows? The Fix-A-Stitch comes to the rescue and once you give it a try you’ll wonder how you got along without it. 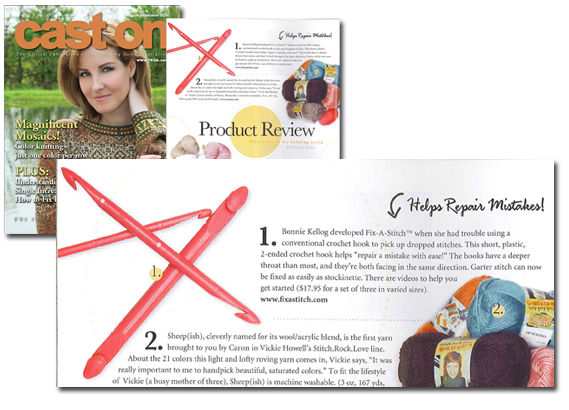 It is perfectly configured with a hook at either end for easily repairing garter and seed stitch without turning your work. No matter your skill level, this handy tool can save you time and frustration. For a shop near you contact fixastitch.com.